The University of Richmond will be central to the lives of our students and alumni. It is essential to the University’s future that our students, parents, and alumni remain engaged in the life of the University. Our alumni have supported the University’s educational excellence and contributed to its growing national reputation. Enhanced alumni involvement in the life of the University and the lives of its current and future students will benefit all members of our community. Combining the knowledge, experience, and loyalty of Spider alumni with the curiosity and passion of current students, we will build a community characterized by lifelong learning, mentoring, and commitment to the University. Create a legacy scholarship initiative that would allow alumni to help the children of other alumni who have been admitted to the University, but may need financial assistance in order to attend. Grow and enhance programs that link alumni with each other and link alumni and parents with current students for mentoring, internships, and professional opportunities. Enhance opportunities for alumni and parents to engage in the intellectual life of the University, and showcase the creative and scholarly contributions of our community members. Provide increased opportunities for alumni to engage actively with the University, whether they are participating in activities on campus, attending sponsored programs in their own communities, cheering on Spider student-athletes, or interacting through communications that reach them wherever they may live. Inspire increased alumni giving to sustain educational excellence for generations to come. The active involvement of alumni in the life of the University is a key to our continued success, and we are pleased to see the strong response to the new opportunities for engagement we have launched. 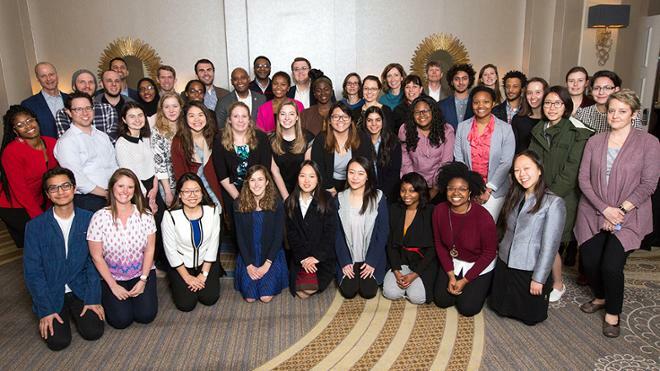 We have created Recent Grad Regional Councils engaging volunteers in five major regions (Richmond, DC, New York, Boston, and Philadelphia) in which many of our alumni live and work. 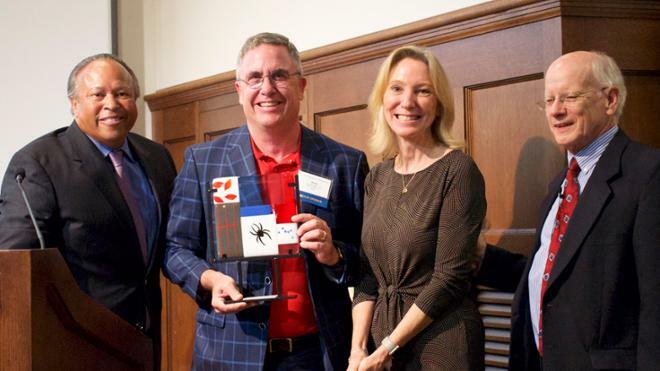 The groups will help ensure continuity of engagement and leadership for Spiders after graduation, and we will continue to add to the number of council members and increase the overall regional activity. We have expanded professional preparation opportunities for Arts & Sciences students through the evolution of the A&S NEXT program, which well exceeded attendance expectations in January 2019, bringing together students, alumni, and faculty for programs that help students begin to translate their Richmond education into rewarding career paths. 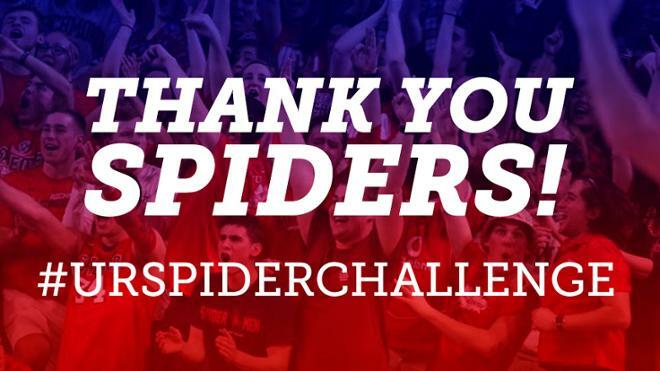 In fall 2018, the first-time “Spiders Helping Spiders” weeklong campaign secured impressive support from alumni, parents, faculty, staff, and the senior class for the career opportunity fund, current use financial aid, and a newly created student emergency fund, which offers support for unexpected needs. More than 600 donors participated, 200 of whom were first-time donors to the University; of the alumni donors, 40% had graduated within the past decade. In April 2019, we will hold “UR Here,” the University’s first Day of Giving, which will serve to connect alumni, parents, and the campus community to meaningful philanthropic opportunities with the ultimate aim of making this an annual event that inspires every member of the University community to make a gift in support of the University on that day. These new events are intended to help build a lasting culture of participation in and support of the transformational opportunity we offer our students. In summer 2019, we will offer a new and innovative admission and financial aid information program designed specifically to help alumni and their family members preparing for the college search process — thus leveraging the University’s strengths and expertise to provide a valuable service to alumni. Alumni are also invaluable partners in our student recruitment efforts — attending college fairs and offering informational interviews to prospective students. In February 2019, we welcomed our first cohort of donors to the Robins Society, which celebrates the loyalty of consistent annual donors, regardless of the amount of their gifts. 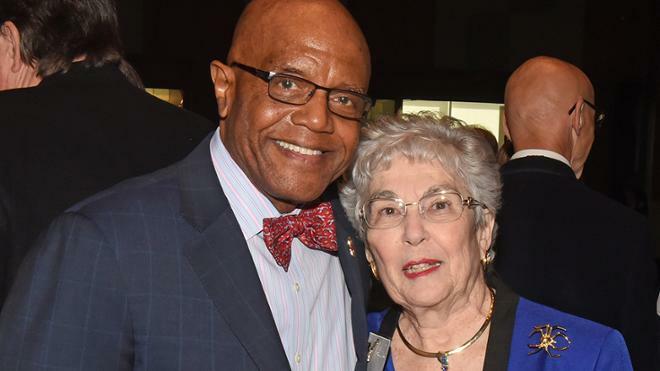 Naming the new society in Robins’ honor highlights a critically important motivation for his landmark 1969 gift: the hope that it would inspire a culture of philanthropy across the Spider community. We have created and launched a comprehensive and multifaceted communications suite for alumni — including a robust social media presence, the Spider Pride website and accompanying email, quarterly email updates from President Crutcher, the "Spider Talks" faculty video series, and enhancements to University of Richmond Magazine — designed to further engage them in the life of the institution and equip them to be ambassadors for Richmond. 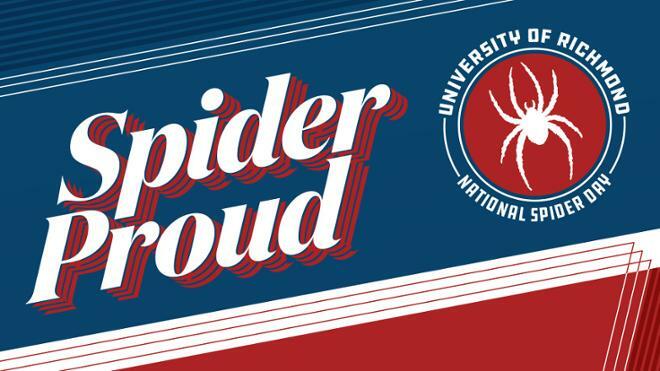 As the only university with a Spider mascot, the Spiders are celebrating 10 days of Spider Pride beginning March 4 (Founder’s Day for the university) and culminating with National Spider Day on March 14. The University of Richmond School of Arts & Sciences will host the Wyatt Tee Walker Symposium Sept. 13 from 2-7:30 p.m. in the Jepson Alumni Center. Senior Carney Judge, ’17, had the opportunity to shadow University of Richmond alumus Roger Mancusi, ’12, at the Academy of Motion Picture Arts and Sciences this winter break through the Office of Alumni and Career Services' Spider Shadowing program. More than 20 University of Richmond alumni are returning to campus this weekend to share their experiences about clinical and nonclinical career paths in the healthcare industry. A $7.5 million lead gift from 1986 alumni Paul and Anne-Marie Queally launches the fundraising efforts for a new men’s and women’s basketball training and performance facility at the University of Richmond. An accomplished C-suite executive officer will be inducted into the Robins School Alumni Hall of Fame at 7 p.m. on June 1 in Queally Hall of the Robins School.